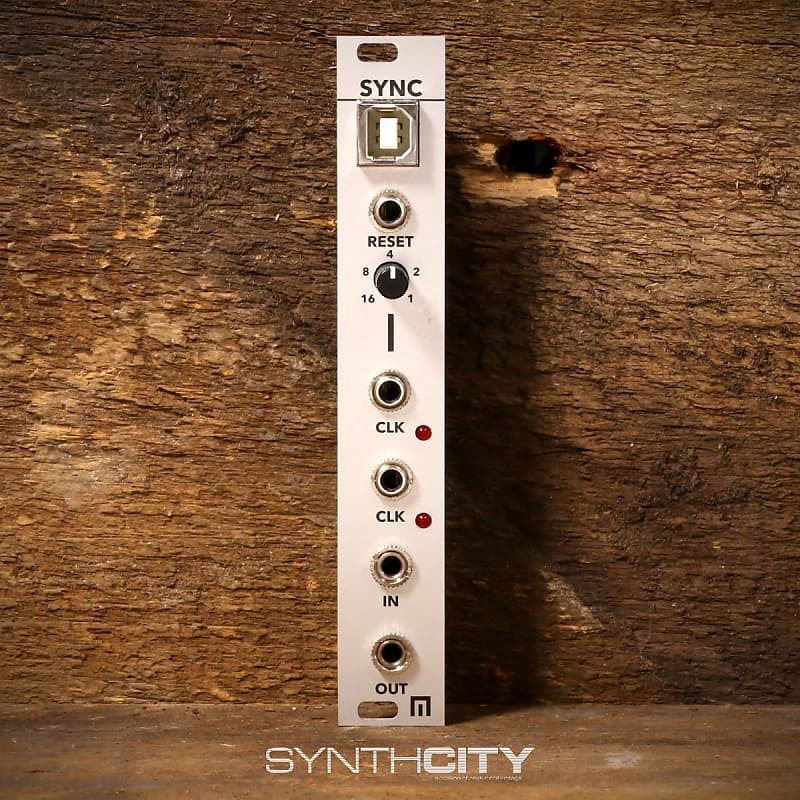 The Sync takes USB MIDI and converts to two analog clock outputs - one including a custom division amount. 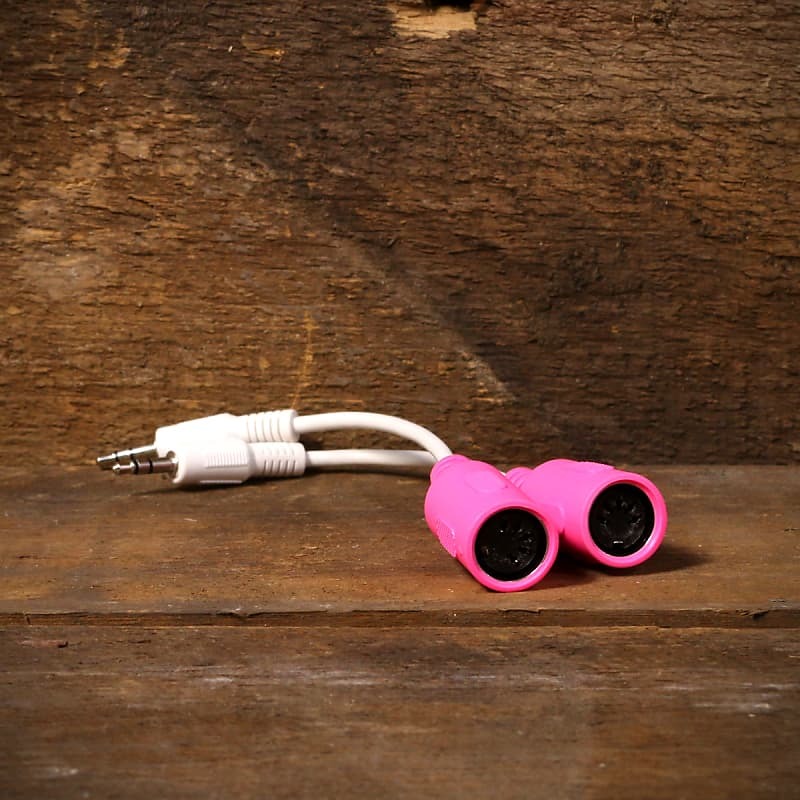 There is also MIDI in and out accessible via the two included 1/8" to DIN dongles. This is a cheap and easy way to sync up a bunch of hardware equipment. This module is in great shape and includes the box and MIDI adapters.